Winning the West by 10 games over their rivals, the Cincinnati Reds, the Dodgers defeated the 101 game winning Phillies in the National League Championship Series to advance to yet another World Series against the New York Yankees. The Series was still in play going into Game 6, until Hall of Famer Reggie Jackson hit 3 successive home runs, each on the first pitch, the give the Yankees the World Championship. 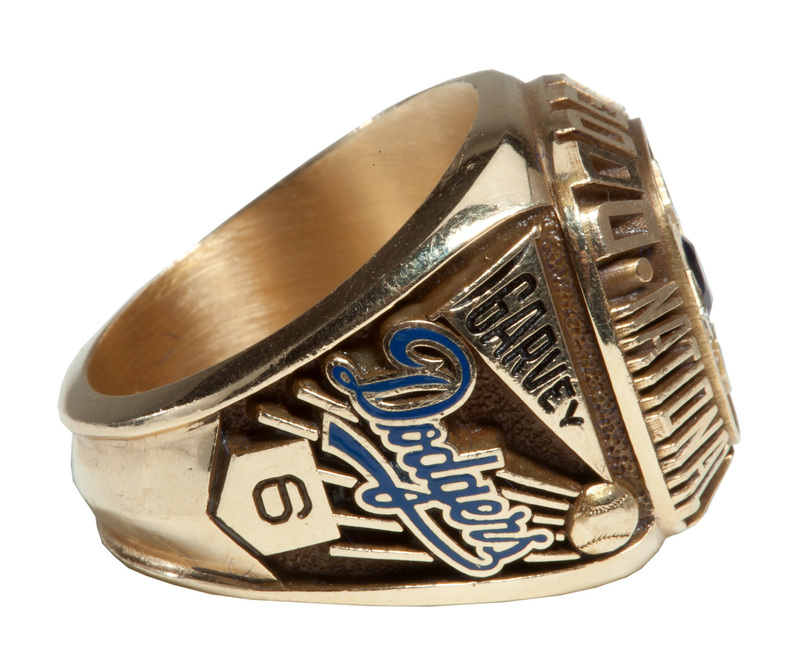 Garvey was a solid contributor to the Dodger cause, leading the team with 9 hits to bat .375 with a home run, 3 RBI, and 5 runs scored. 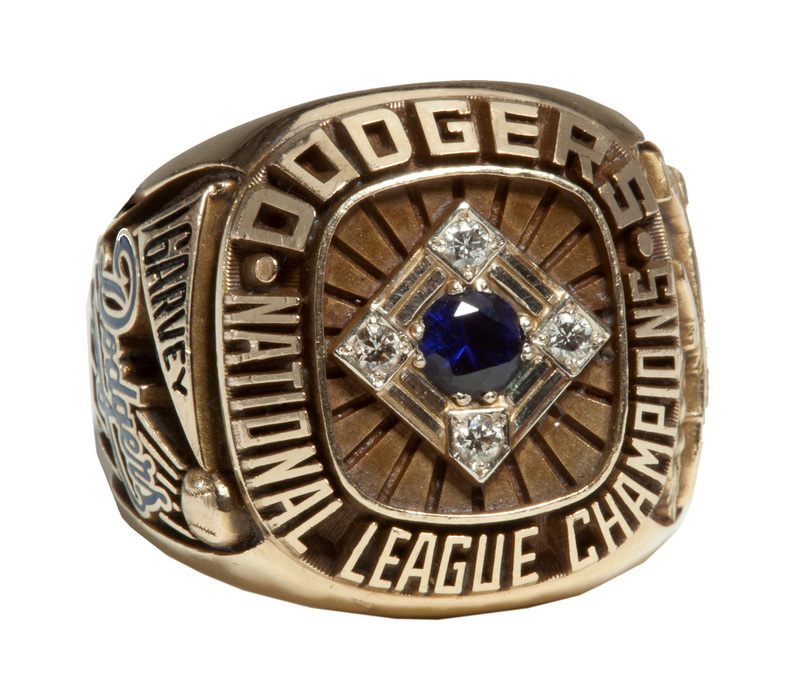 Garvey’s beautifully designed and well preserved 1977 NL Championship ring features a Dodger blue stone surrounded by a baseball diamond with 4 real diamonds as bases. “DODGERS NATIONAL LEAGUE CHAMPIONS” encircles the face. 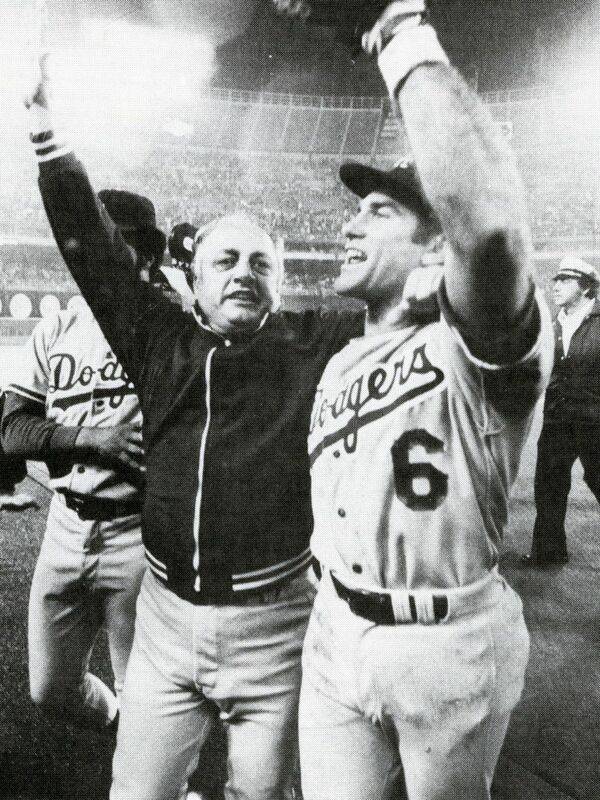 Player name “GARVEY” with the Dodgers logo and uniform number “6” appear on one side with an airplane flying. On the other side is “LA” and “1977” in deep relief. 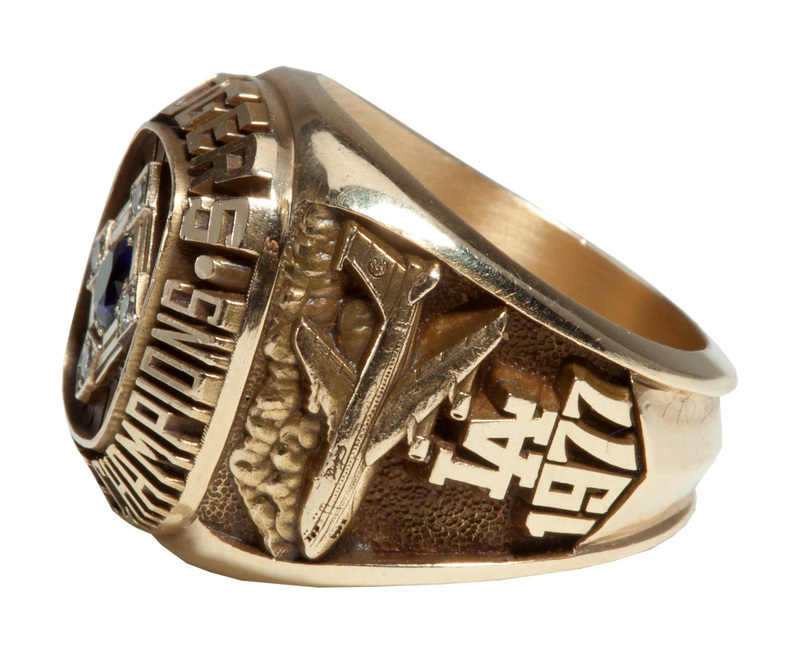 “LGD 14K” is stamped on the inside. The size 11 shows only modest evidence of wear.